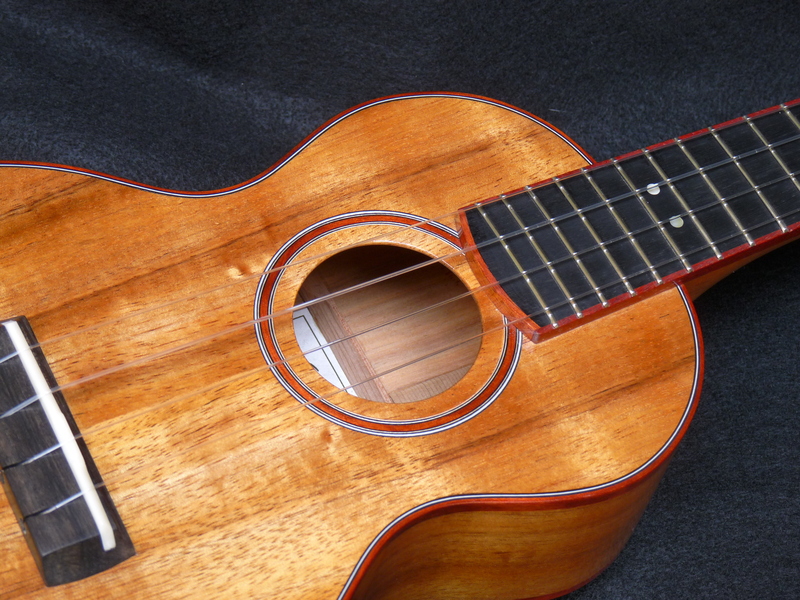 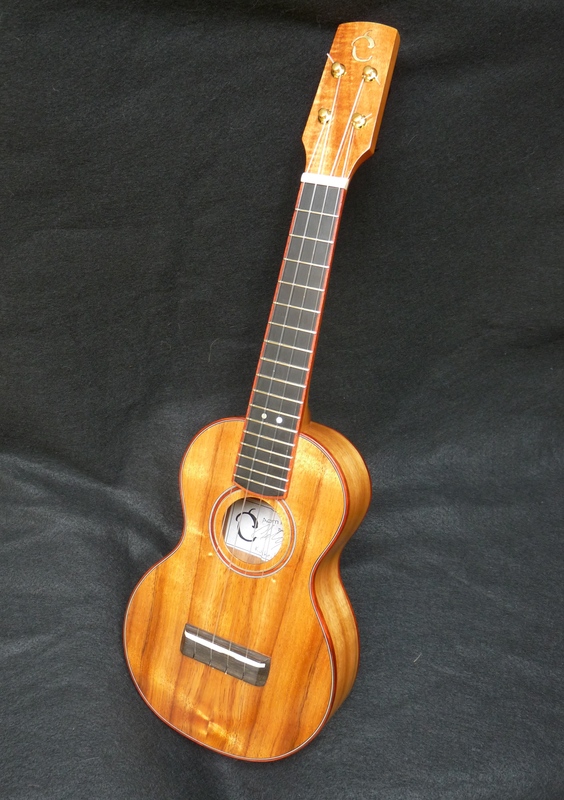 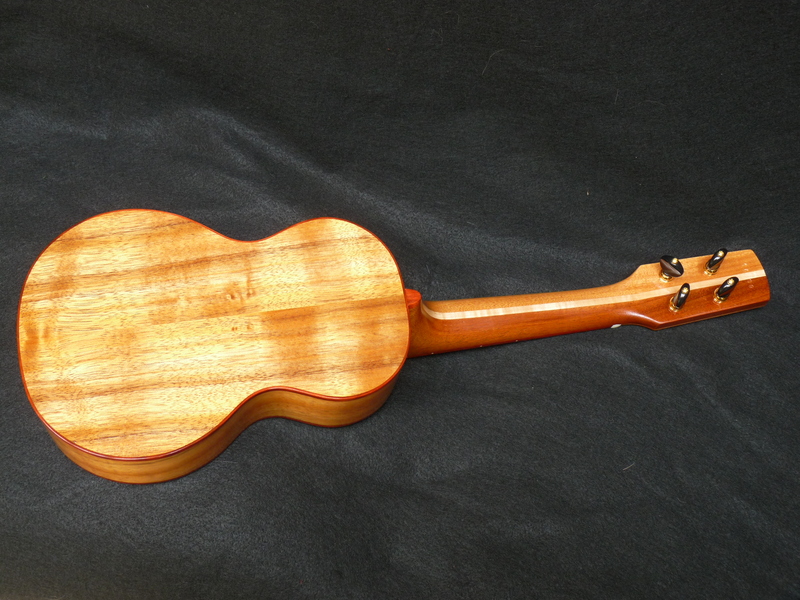 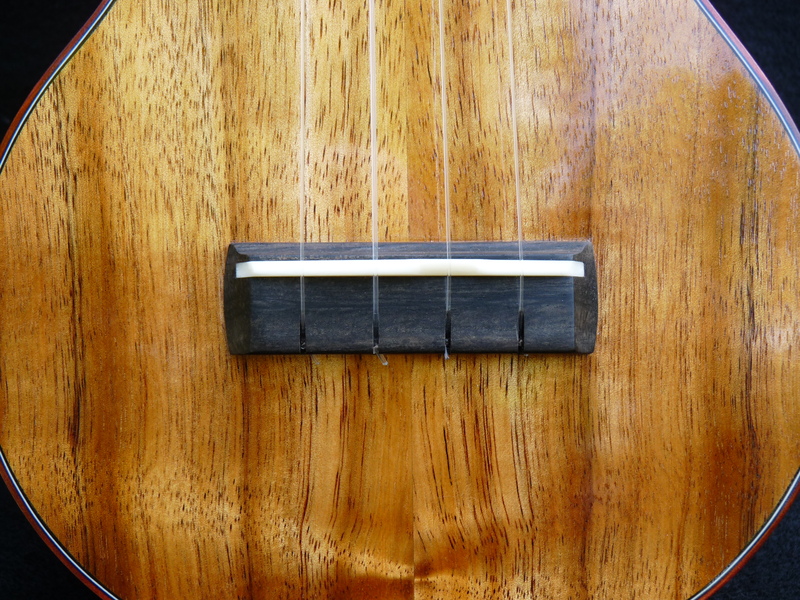 Kulakeiki, or “golden child”, concert ukulele made from solid koa, with bloodwood bindings and trim. 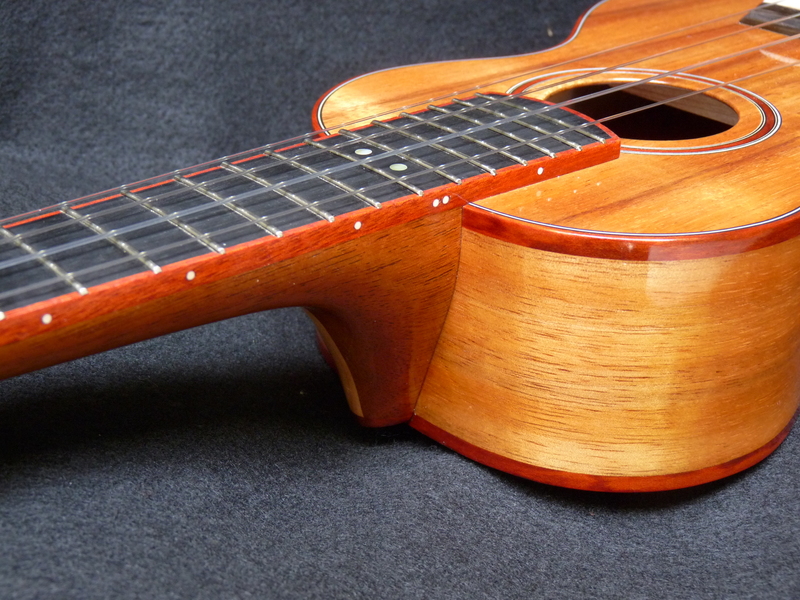 Ebony fingerboard and bridge, mahogany/maple neck with carbon fiber reinforcing rods, bone nut and compensated saddle, and Gotoh deluxe friction tuners. 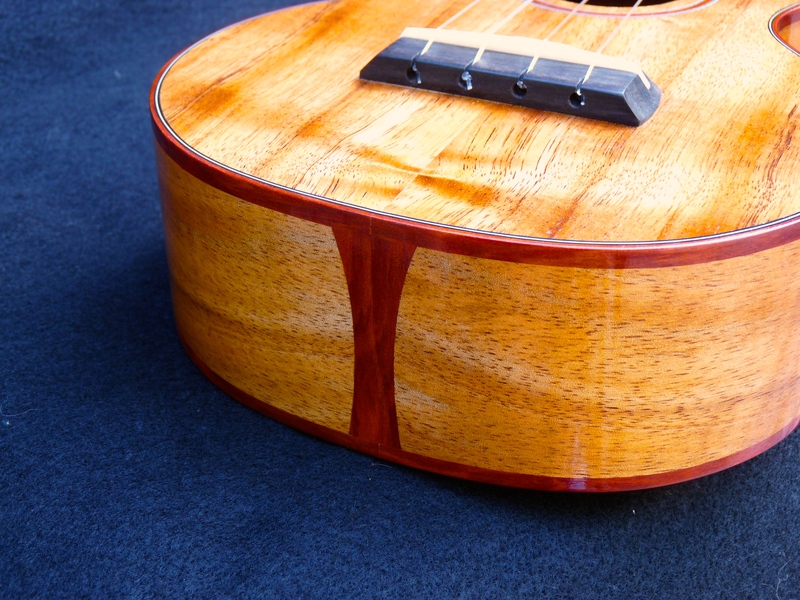 Constructed almost entirely with hot hide glue and a traditional dovetail joint.